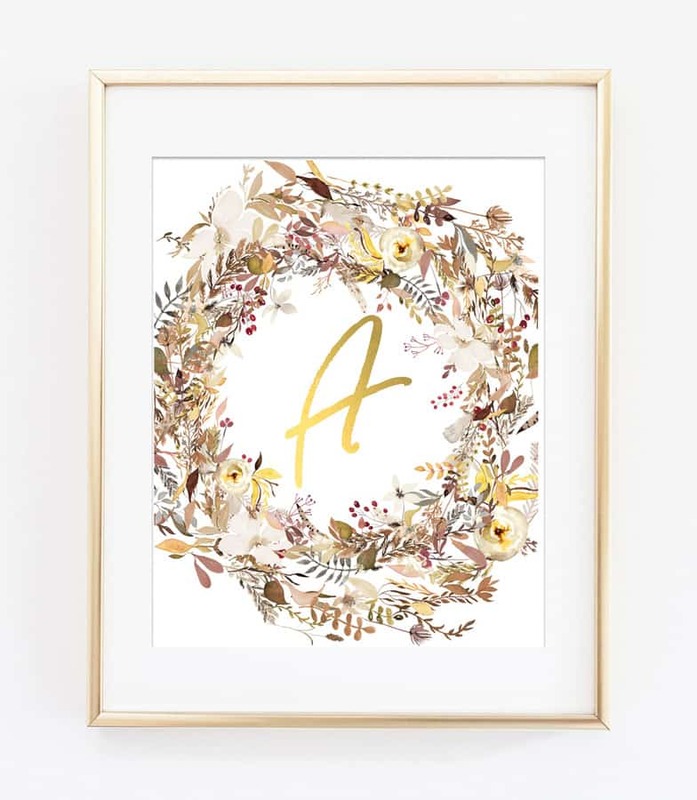 These gorgeous and rustic fall wreaths initial printables feature fall foliage and a gold initial! Perfect for your home decor, or to frame and give as a gift! There is so, so much I love about these fall wreaths initial printables. The warm color scheme goes perfectly with so many decor styles, and the fall foliage is a bit rustic and a bit whimsical. These are perfect for fall, but can live in your home year-round! 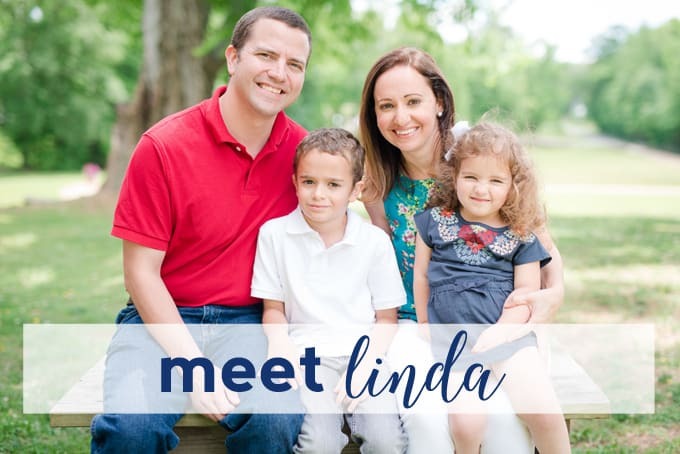 If this isn’t exactly what you’re looking for, we have so many more sets of free name art printables here! And even MORE home decor printable wall art can be found here! The start of fall often means back to school! 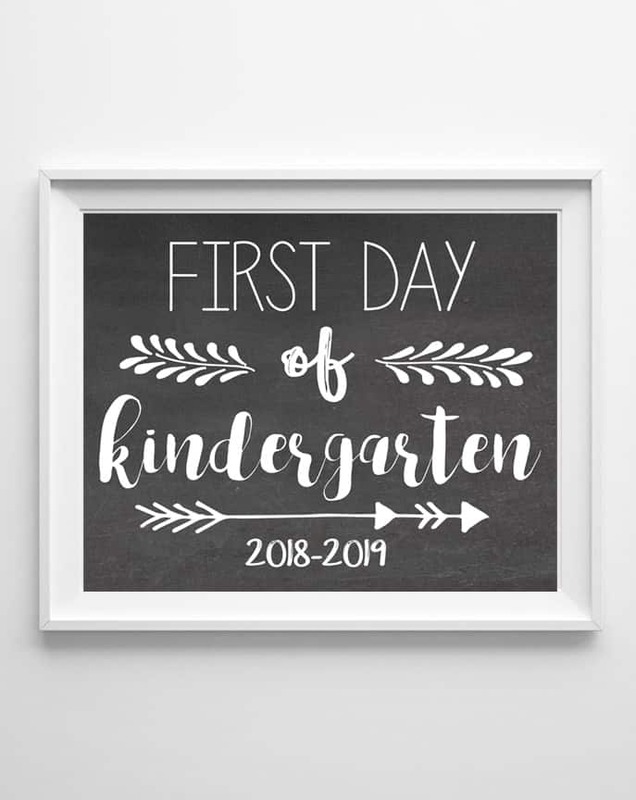 If you haven’t already, head here to download and print some free first day of school printable signs to commemorate the occasion! 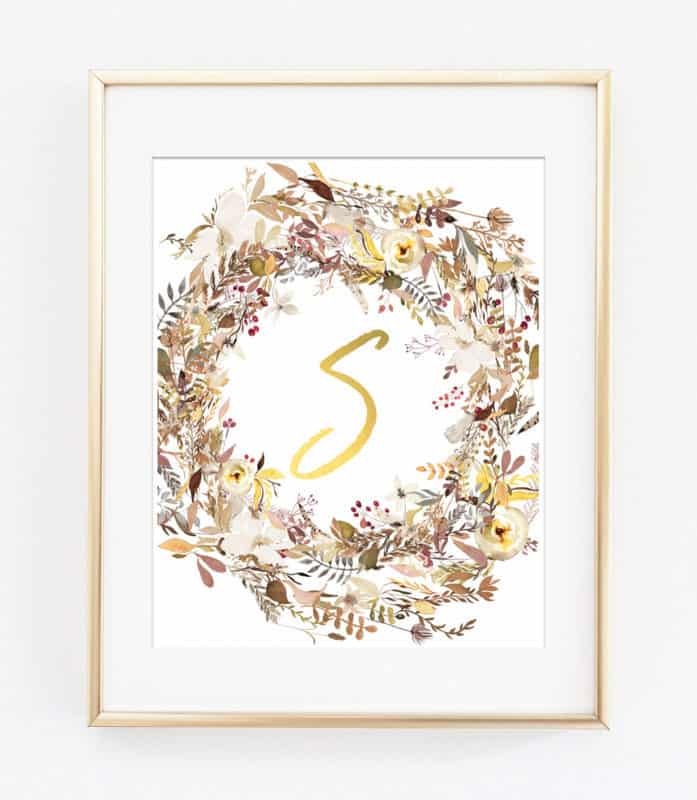 Thanks for reading about my Fall Wreaths Free Printable Wall Art! Have a great day!